Why do you speak from Brawn? I'm more worried about Ferrari right now. It's not going to matter which pilots are employed if the team can't solve their issues and produce a quick car. I definitely agree with Olga. After looking at his CV, the only reason I can see to hire this gentleman is because he has seemed to succeed at everything he has done. But that is in car sales. Not running an F1 team. Two completely different entities. I'm sure he is a very hard worker. But this new role will take work to another level. And he will be much more involved with international media. I also feel this is a temporary hire. And beyond just improving how Ferrari works, it is hoped that Mattiacci will be able to help the F1 team maximise the commercial and structural resources of its road car division - just as Mercedes has done - to help push its team on to success. Does anyone know what Autosport is hinting at by this comment? I hope this is not a repeat of the same situation for Kimi, when Jean Todt left Ferrari. But then again, I am not sure Alonso's shares is that high either. This is of course the normal Ferrari scapegoat tactics. I am sure a lot of Ferrari's fans will be very happy, as some have want to see the back of Domenicalli for years. Domenicalli seemed like nice guy, but I dont know if he really ever had the backbone or mentality to be a good F1 teamboss. This Mattiacci also doesn't seem like the right person, but then again who knows, we'll see how it goes. Boullier also looked like a terrible teamboss at one stage and he turned out alright. Ferrari isn't going to be fixed suddenly this season. If I were in charge, I would start concentrating on next season. Brawn might be an option, I guess he is still on garden leave. But I do wonder, he isn't that young anymore and he would have to move too Italy. It I were the shareholders of Ferrari, the next person I would kick out would be Montezemolo. I just dont think his ideas and tactics are relevant anymore. Or at the very least they really need someone who can stand up against Montezemolo, like Jean Todt did. I think they will always struggle to move forward if they cant deal with this political issue. Very, dumb comment if they are referring to increasing profits of the road car division, if you ask my opinion. Ferrari is not like Merc, they have two very different products. Merc's might be exclusive, but a Ferrari is in a completely different category. Merc's are mass produced and Ferrari's are basically hand build. Ferrari cant suddenly start producing more cars, and as it stand they already have a waiting list. And even if they could suddenly start mass producing cars, it would hurt their product, as it would lose it exclusivity. There is just no way that you can compare the two. Of course on the otherhand they might also be referring to perhaps allocating a bigger budget, or more resources into F1 engine development like Mercedes did, and perhaps they could produce a V6 road car car in the future. 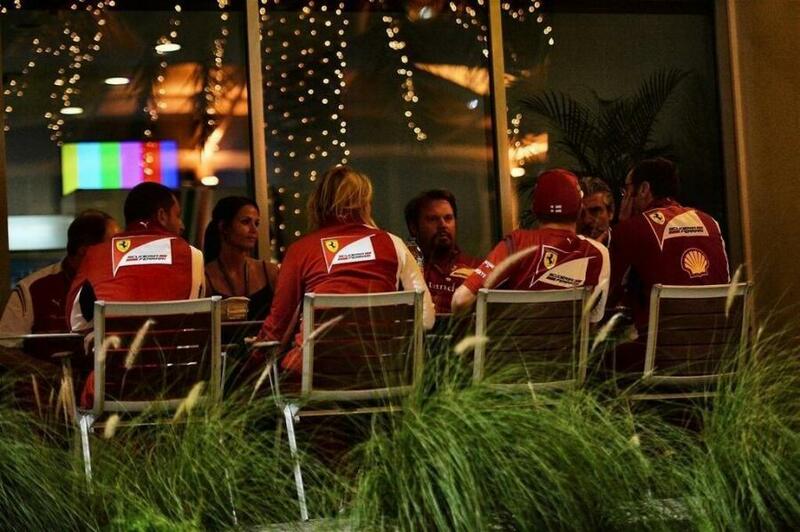 Is that SD next to Kimi? Toni Vilander said yesterday Kimi had very close relationship with Domi. He just walked to his office it he had something to say to him. Now things may change but I think they hired Mattiacci to be more like manager of the team, Mclaren and Merc hasnt officially nominated a team boss hasnt they? Vilander knows Mattiacci well as he has been driving in US the Ferraris road cars and Mattiacci was following the races very often. Even Kimi has met Mattiacci, in 2009 when they did a promotion in Asia with Ferrari. Vilander thinks Kimis situation will not change with Mattiacci. But anyone will know will Mattiacci take the helm firmly or will someone else start to controll things in Ferrari? I suspect Kimis race engineer is a bit too inexperienced to start opposing things if someting start to go to wrong direction. It will be Kimi himself. About Ferrari generally Ossi Oikarinen said something interesting during Bahrain race, he said Ferrari has a very different system to make aerodynamic work for example compared to Red Bull and see where they have gone with it and still they are not adopting the same kind of working method..are they old fashion? In my opinion Ferrari has to change a lot in his engine and developement area. Ferrari president has said that he has complete confidence in new team principal Marco Mattiacci and added that his Ferrari heritage is more important than F1 knowledge and he has vowed to spend more time in Formula 1 personally. “I decided to appoint a young manager in whom I have a great deal of confidence and someone from the Ferrari family, rather than going around the world looking for some mercenary,” Montezemolo said yesterday. “We are full of talent with quality and capability and and we are full of technical people from whom I now expect an immediate reaction. (Mattiacci’s) appointment, above all, was made in full agreement with (FIAT CEO Sergio) Marchionne. It is interesting that Montezemolo has said that he will be “more present” in F1, as we have seen with the return of Ron Dennis at McLaren, the big beasts are returning to the jungle, sensing a change in the natural order. There is a clear sense that F1 is entering a period of change with Bernie Ecclestone’s trial starting next week on bribery charges and – whatever the outcome in Munich – Ecclestone saying that he will step back from full control of the running of the sport to take a more strategic role. Main shareholder CVC wants to retain a stake in the business and grow the commercial revenues significantly and the big beasts want to be involved in what comes next. Montezemolo and Ferrari have a powerful position in the sport with a veto right and a say in who replaces Ecclestone as Formula 1 CEO. Montezemolo clearly senses that he needs to stay close to the sport in this next period to be able to take advantage of uncertainties and changes in situation. As for Domenicali, the president said, “After 23 years with us, Stefano had the courage to resign, a rare quality in our country. He is paying for the lack of results, that is the law of sport. Kimi Raikkonen has admitted Stefano Domenicali's departure from the Ferrari Formula 1 team took him by surprise, though he does not think it will disrupt the squad. Domenicali resigned earlier this week in response to Ferrari's poor start to the F1 season. He has been replaced by Marco Mattiacci, formerly CEO of Ferrari's North American operations. "I think everyone is a bit surprised but obviously it was Stefano's own decision as I understand it," said Raikkonen when asked by AUTOSPORT for his reaction to the shake-up. "If he felt like that, fair enough. Life goes on. "He was a great guy. I worked with him for many years and I spoke to him often. But that's how it goes. "We can handle this sort of thing." 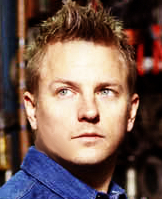 Raikkonen said he knew little about Mattiacci - "I don't know him. We've probably met before" - but thinks Ferrari's management structure will ensure a seamless transition. "He's got great people around him to help him so I don't see that there will be any issues," he said. "I'm sure he'll do everything in his power to push things forward." The Finn backed team-mate Fernando Alonso's insistence that replacing Domenicali with Mattiacci would not have an immediate impact on Ferrari's form, although he believes steady progress is being made. "Even if you change things around, you cannot make a miracle because we know where we are and we have to improve. It won't change overnight," said Raikkonen. "In the rules there is quite a lot of space for improvement. We can find quite big things suddenly. But it might be the same thing for other teams. "We understand things better after a few races and we have already improved a lot since the first race. Obviously it's hard to see it when everyone is doing the same. "I think Bahrain was always going to be one of the most difficult races for us. But we have improved." Questa sera, tramite gli ufficiali intermediari, Marco Mattiacci mi ha fatto sapere che la Ferrari NON condivide assolutamente il linciaggio mediatic0 prontamente scattato nei confronti del Santo Bevitore. La fiducia della Scuderia nel Biondino, alias Kimi Raikkonen, è intatta. Credo sia una precisazione opportuna, sebbene la famosa leggenda di #enricostaisereno, ovviamente per altre faccende, spinga l'osservatore distratto verso una cauta perplessità. Ma il gesto è interessante e merita di essere segnalato. Se a Maranello cadessero nella trappola di chi desidera ridurre una situazione di disagio ad una questione di piloti, oh, beh, insomma, neanche saremmo al caffè, ma all'ammazzacaffè! Comunque staremo a vedere. Talvolta averne viste persino troppe è un eccellente antidoto contro il virus della dabbenaggine. Se vi va, potete usare questo post per raccontarvi il Gp della Cina.